StarCraft isn't that cookie-cutter man. The 30 vs 15 analysis would work if it was the same unit, and even then the upgrades and micro skills make a lot of difference. 1. There are too many heroes for you to know who does what. BUT, take a look at the "free to play" heroes, and at least learn their abilities. They will give you a fair chance if what you will get hit with. 2. During the game, press TAB. Look at the items your opponents are carrying. They make a big difference if how their champion plays. They can be a damage soaker or dealer on the same champion, depending on how you can gear them. 3. Get a friend to play with you. I am on EU West if they is convenient for you "Brontizzle". (Yes I know, Bronte was taken!) Two coordinated people can do a lot more damage than someone who is just tarting out. 4. Between levels 1-6 just farm minions, harass the enemy, but don't try to kill him. You need to stay alive, you need to stay near your minions and you need some killing blows to get a good chunk of change. If you're good, you should have close to 800+ gold by the end of level 6, even without killing a champion. 5. Survive. The longer you are up, the more experience, gold and damage you dish out over time. Don't make suicide plays. Sure you killed that weak player by charging into their lines, but not you get to stare at a black and white screen for 50 seconds. 6. Go to www.mobafire.com, and look at some of the "Top Guides" for the champion you like playing. I would recommend starting wit Garen or Master Yi (you have to buy Yi, but he is only 450 IP right now, so you kinda get him for free). 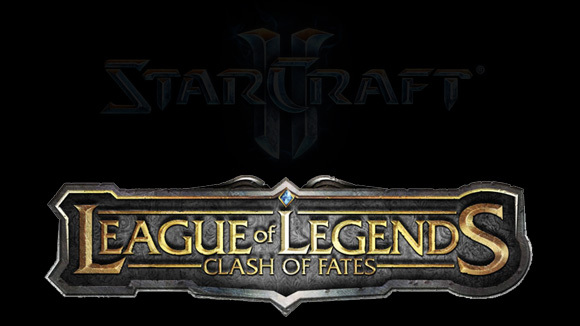 I like both League and Starcraft but I understand what Klelith is saying. I think one of the problems with League is that a hero can get so fed by the other team that there is absolutely nothing you can do to it. It seems unfair in the late game but it's because of what happened in the early game on an even playing field. Thanks for the tips Bronte, if you or anyone else, wants to friend me I'm Void19. I am on EU West. Is that where you are?